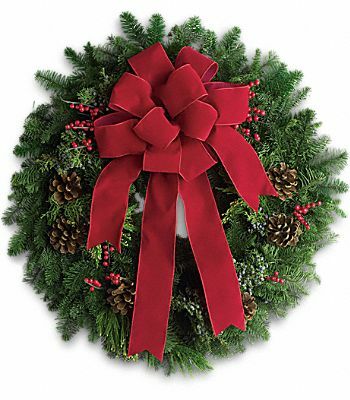 It''s not Christmas without a fresh Christmas wreath on your door! Send the spirit of the season to someone special with this classic piece of holiday decor. 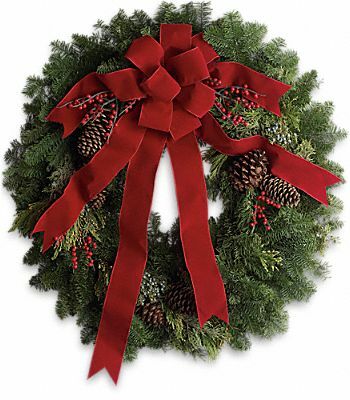 The 24-inch wreath is composed of fragrant noble fir with touches of juniper and red berries, and is hand delivered by a local florist to ensure maximum freshness. This 24-inch noble fir wreath is accented with juniper, red berries and pinecones and finished with a full red velvet bow.